CBD Oil Tinctures vs. CBD Treats for Dogs: Which Is Better? So you’ve heard about the benefits of hemp oil for dogs, and you’re ready to try a CBD product. The first question many people have is: Which is better for my dog, an oil tincture or a CBD treat? Purity & Potency: When you use an CBD oil tincture with a dropper, you’ll be able to more effectively control the precise dose of CBD. Any reputable CBD oil will publically show a certificate of analysis for their product that shows exactly how much CBD is contained in the bottle. COA’s are far less common for CBD treats. In other words, you can’t be exactly sure how much CBD (in milligrams) is contained in the cookie. Heat from Cooking Damages the CBD in Treats: Most CBD treats are processed and cooked with heat, which damages the potency of the precious cannabinoids, rendering them less effective on your dog. Calories and Extra Ingredients: When you give CBD in the form of a baked cookie, you add extra calories and potentially allergenic ingredients into your dog’s body. In order to give an effective dose, you may have to give a substantial amount of treats. Some people have concerns about using a tincture when administering CBD to their dog. While the dropper can be placed directly in your dog’s mouth, we find its easier to drop the oil directly on your dog’s daily food or a treat you’ve given them before. In this scenario, you’re still using food or treats, but the product is something your dog is used to and will not cause any digestive upset. Most importantly, the CBD is added freshly to the food item, ensuring maximum potency. In summary, CBD infused dog treats and chews have their place, but to ensure maximum potency and purity, we recommend CBD oil tinctures. Which CBD Oil Does iHeartDogs Recommend? 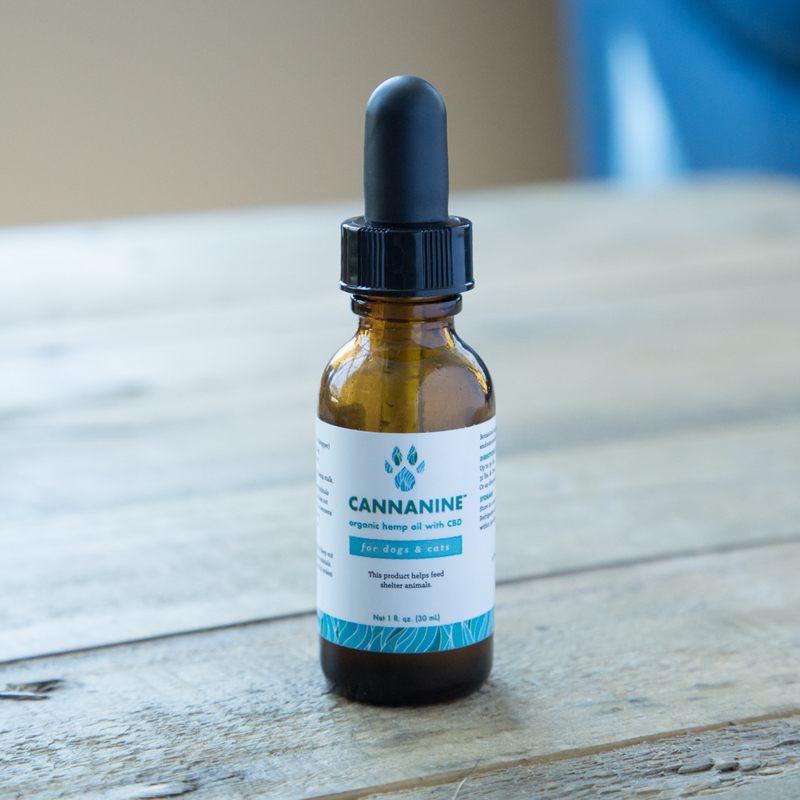 The team at iHeartDogs helped develop the Cannanine™ brand of CBD Hemp Oil for Dogs. In addition to being 100% THC free, the Cannaine product using nano-sized emulsion, which leads to superior absorption by your dog.